You and the Incredible Hulk are sure to be a smash at your next party with these amazing cufflinks. 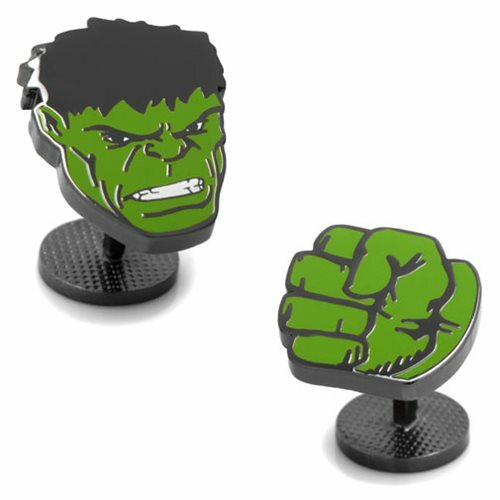 The Hulk Comics Face and Fist Pair Cufflinks are made of black plated base metal with enamel and measure about 3/4-inches wide x 5/8-inches tall. These cufflinks are a must have Fans of Marvel's The Incredible Hulk!